Angel Locsin (main photo) was considered because of her Emmy nomination and her portrayals in the TV show Imortal and the hit love story-drama film In The Name of Love. Also on the list are (insets, from top) Marian Rivera, Kim Chiu, and Bea Alonzo. Another poll has the potential of being the next "battlefield" for passionate and adoring fans. This is the "30 Actresses Under 30 + Who do you think is the most talented?" poll by the website Female Network.com (www.femalenetwork.com). It started last week, May 25, Wednesday, when the website picked up a story from PEP.ph (Philippine Entertainment Portal) about the May 22 The Buzz interview with Bea Alonzo by Boy Abunda. Philippine TV's "King of Talk" put the 23-year-old actress on the spot when he asked her to rank herself, Angel Locsin, and Anne Curtis, according to who she thought is the best in terms of acting. Instead, Bea named co-Kapamilya star Angelica Panganiban on the number one spot as the best actress. But among the names Boy mentioned, Bea put herself only in third place, with Angel and Anne in first and second place, respectively. "Alam mo, Tito Boy, meron kasing iba-ibang genre na magaling kami," reasoned Bea. "Merong project na 'eto ang weakness ko, ang galing-galing naman nina Angel at Anne." The website asked its users if they agree with Bea's assessment and started the poll from there. The poll question was "Who is the best young actress of this generation?" 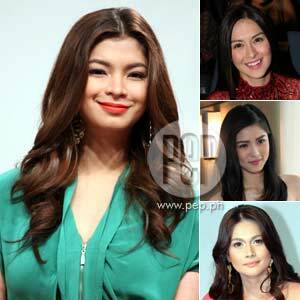 with Angel Locsin, Anne Curtis, Bea Alonzo, Angelica Panganiban, and Marian Rivera as the first five choices. Angel was considered because of her Emmy nomination and her portrayals in the TV show Imortal and the hit love story-drama film In The Name of Love. Anne, for her ability to easily switch from drama to comedy. Bea, for proving her skills as an actress in her role as Gelai in Magkaribal. And Marian for her hit drama and comedy shows. The sixth choice was to be provided by the users at the comments section. "As of press time, Angel Locsin is leading the poll with 20,193 out of 53,787 votes (37.54%) with Bea Alonzofollowing close behind with 17,597 (32.68%). "Rounding off the top three is GMA-7's Primetime Queen, Marian Rivera, with 13,815 votes (25.68%). "Those of you who thought the best actress was someone not named in the poll cited Maja Salvador, Alessandra de Rossi, and Erich Gonzales as your choices." "Who do you think deserves the title of being the best actress under 30?" Voting ends on June 30 and users can vote as many times as they want.